Rock, beach and lake fishing can all be enjoyed at tried and proven locations within a few minutes walk or drive from the farm. 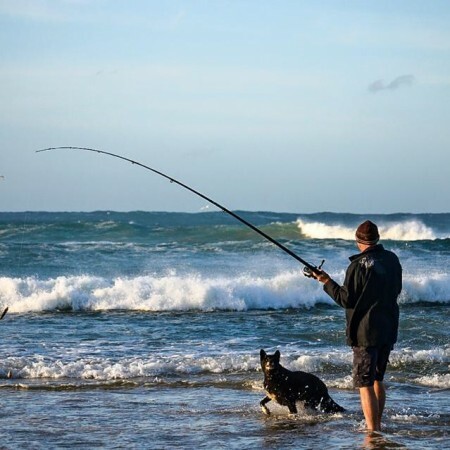 Mystery Bay, Loaders beach and Ten Eighty Beach are available for beach fishing. 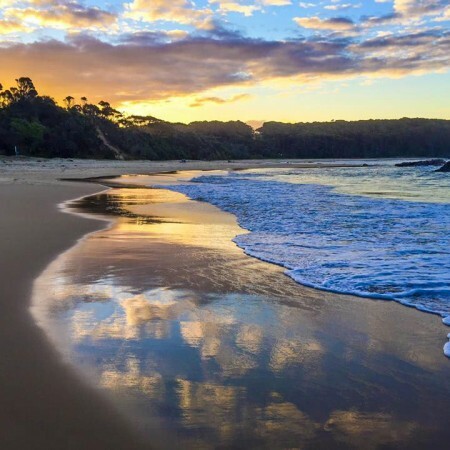 Between Mystery Bay and Loaders Beach there are numerous spectacular cliffs and rocky headlands including the renowned “big rock”, a favourite of local anglers. Corunna Lake is just north of the farm (80 metres) where flathead, bream and prawns can be caught. 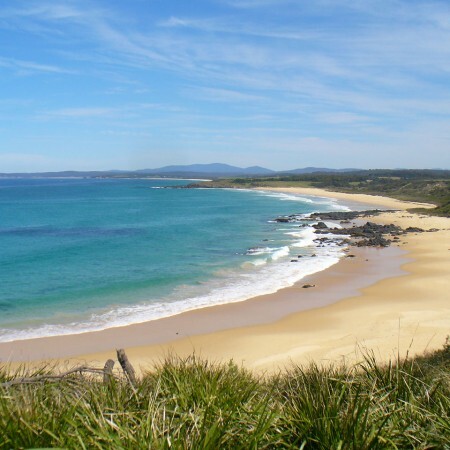 Wagonga Inlet at Narooma is a favourite with small boat fishermen (you can hire a boat at the the Narooma marina). Once you’re on the water your choice of fishing spots is unlimited. Anywhere along the edge of the shallow water will result in a good catch of Bream, Snapper, Flathead, Taylor, and Trevally. Squid, Flathead, Tuna, and Salmon can be picked up. For those wanting a bigger catch, there are Fishing charters available for those seeking sports fishing adventures. Batemans Marine Park has recently been gazetted and a guide will soon be available detailing permitted activities in the designated zones. Contact batemans@mpa.nsw.gov.au for more information.